DECEPTION- SOMETIMES YOU DON’T GET A SECOND CHANCE. DECEPTION—Sometimes, You Don’t Get A Second Chance. My latest novel—Deception is about to be released. And I’m soooooo excited about it. It’s a suspense story with a message. This is a book that wouldn’t go away. I wrote it several years ago, but couldn’t find a publisher. I put it away and started working on something else but….the story nagged at me…pestered me…wouldn’t let me alone. So, I started working on it again. Got some nibbles on the rewrite. More than nibbles, really—some editors and publishers were very interested. But again, the deal fell through. UGh..sigh…what’s a writer to do? I put it away and started another project. But….well, you get the point. This story wouldn’t get out of my head and for a good reason. I wrote it after the death of a dear friend with whom I was estranged. I’d always planned to reconnect with her—when the time was right. But I’d waited too long. Lesson learned. It was a painful lesson. What was the lesson? In life, you aren’t guaranteed second chances. So when an opportunity presents itself—you better take it. There may not be a second chance. Forgive the people you love and even the ones you don’t. Because again—there may not be a second chance. Go ahead and do those acts of kindness, mercy, and love when you get the opportunity. Because second chances aren’t guaranteed. 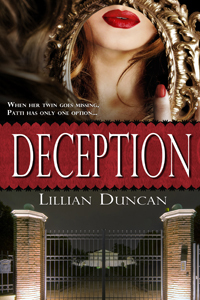 In DECEPTION, Patti is estranged from her twin sister. And with good reason, but as the story proceeds Patti comes to understand being right isn’t a good enough of a reason to be estranged from a loved one. And I believe that’s why this story wouldn’t go away andleave me alone. 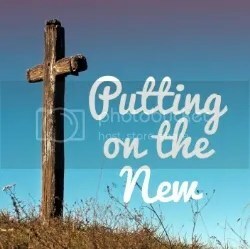 There’s a message to be learned and I’m sure each of us have learned it or need to learn it. I’m hoping people will read DECEPTION and decide to reconnect with that friend or family member before it’s too late. After all, there’s no guarantee we get a second chance. To learn more about Lillian and her books visit: www.lillianduncan.net. And to celebrate the release of DECEPTION, there’s a contest on my website. Grand Prize is a NOOK. ← Dreams Do Come True–Just Ask Josh Krajcik!